Several weeks ago my friend Christine mentioned that it looked like someone was turning that little ATM place on 10th Street near Lennie's into a very tiny drink stand. She was right and they are now open. It's called Bapu Teahouse and it's pretty good! (Check them out on Facebook too.) 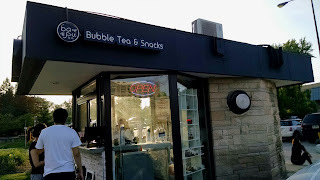 We adventured there last Thursday for their soft opening. 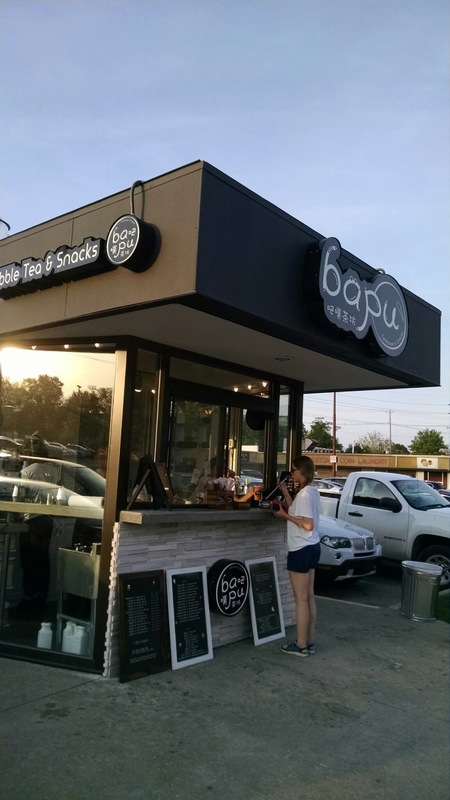 This week and next are their grand opening and you can get free samples and 20% off drinks until June 13th! 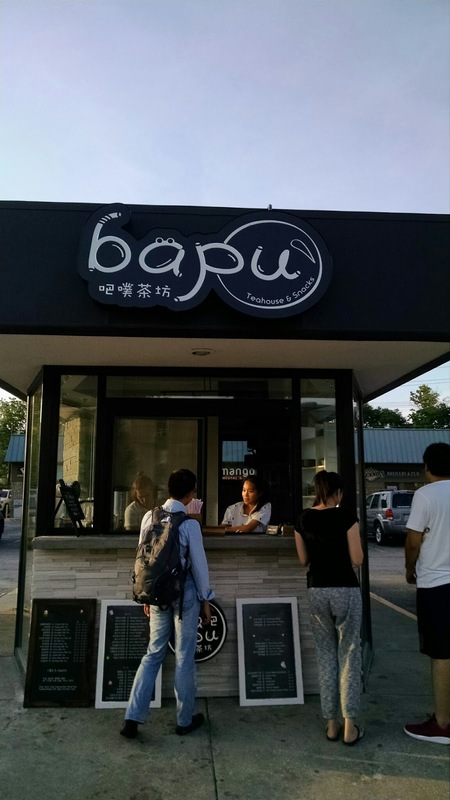 Bapu is located right on 10th Street in the same complex as Lennie's, Fortune Cookies, etc., and is right next to the bus stop. Parking can be a little hard to come by in this lot so if you can, it might be better to walk here. Luckily we were able to get a parking spot on this trip. 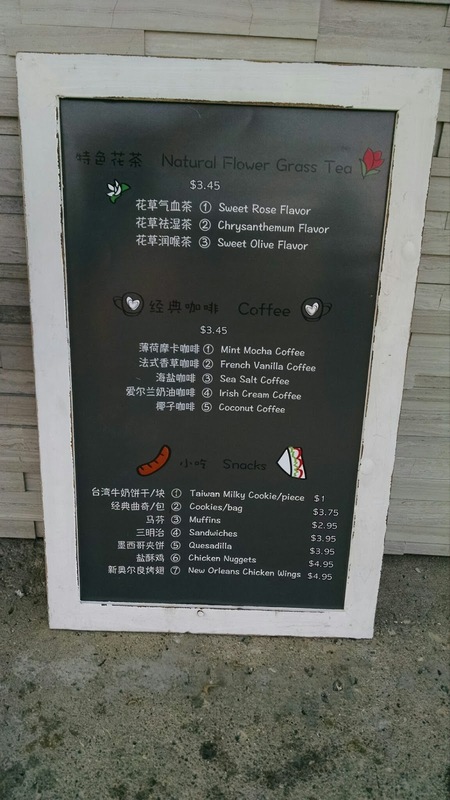 Here is their menu, in case you're curious! The prices are on par with the other bubble tea locations in town. 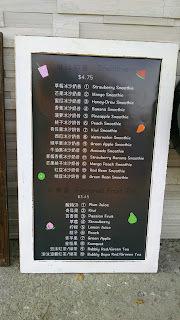 We chatted with one of the owners (Hong) and he said his wife developed her own recipes for their drinks. 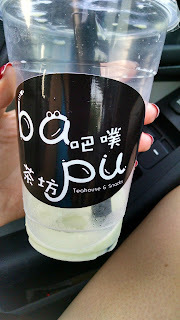 He had me try the Honeydew Milk Tea with the basic pudding in it instead of tapioca beads. It was quite good. 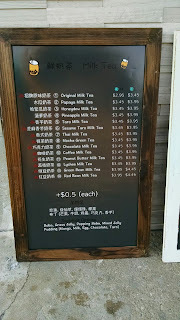 Christine had a regular milk tea (I think) and it was also good. 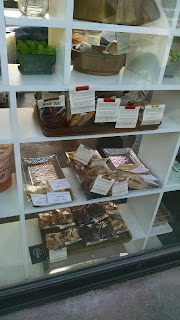 It tasted very fresh and we watched the staff make it right in front of us thanks to the glass windows. I was thirsty and managed to drink almost all of mine before remembering to take a photo. Guess I'll just have to go back. 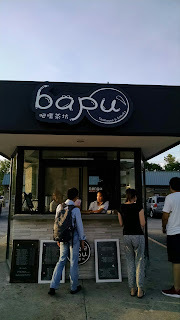 Bapu also serves various food items (kind of a random mix, if you look at the menu; anything from cookies to wings!). We didn't have any of the food but noticed they carried sweets from the Piccoli Dolci farmer's market lady, so if you are addicted to her things you have another place to buy them. 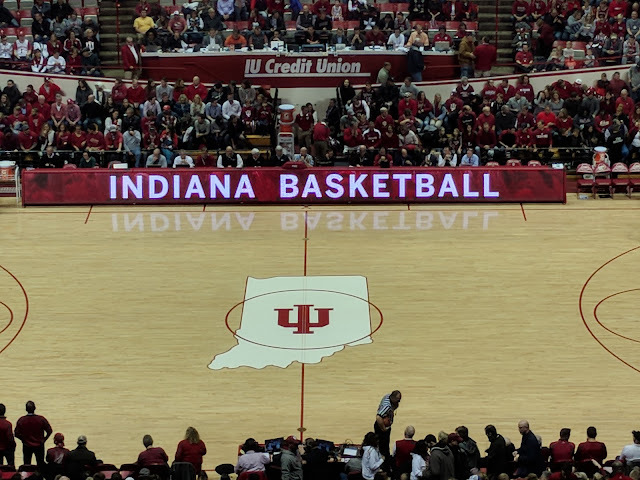 The location of this place is pretty genius and if I still worked at IU it would be trouble for me to stay away. :) I love bubble tea and am happy about this new addition for eating and drinking right next to campus. 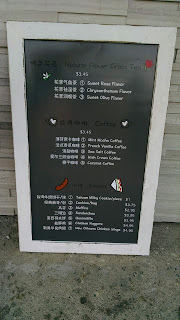 They were already very busy when we went there last week, but the service was still fast considering they made our drinks to order, so if it stays like that you shouldn't have to wait long. 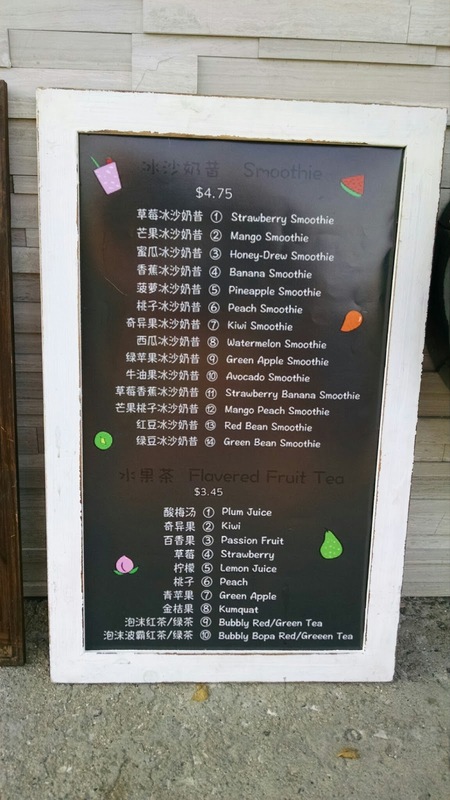 I'll definitely be back to try some more drinks!